Classic, sophisticated, and minimalistic describe Jens Laugesen’s 2018 fall collection. Having contrast as the focus, Laugesen’s outfit for the Runway Report was fashioned with such attention that a traditional black and white ensemble developed both geometrical and textural appeal. In the Splurge section, winter coats conquer the trend this season. 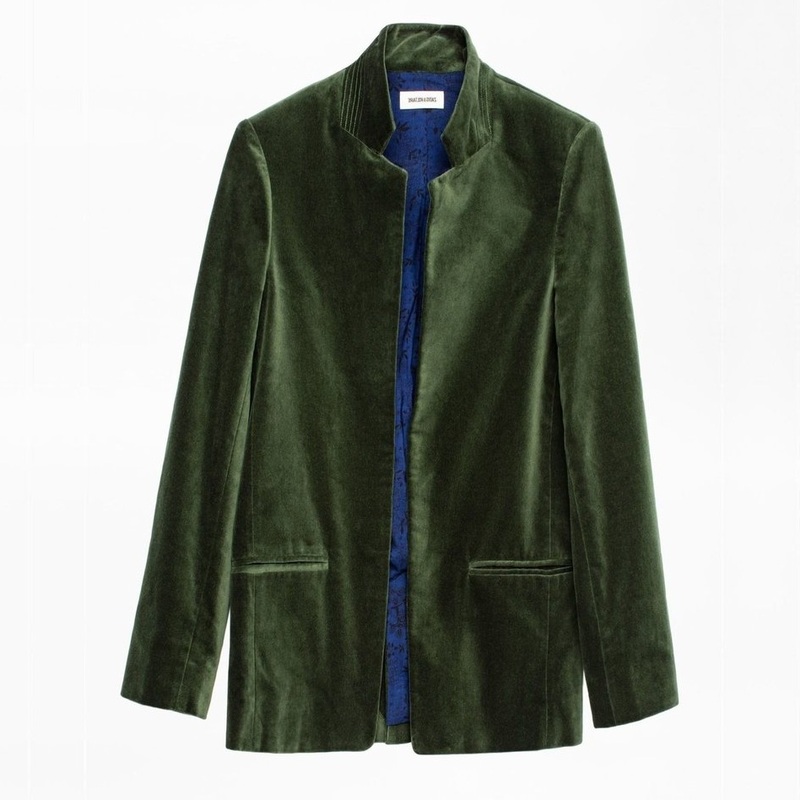 Long, wooly, and 80’s inspired, these coats will persuade you to treat yourself this winter. 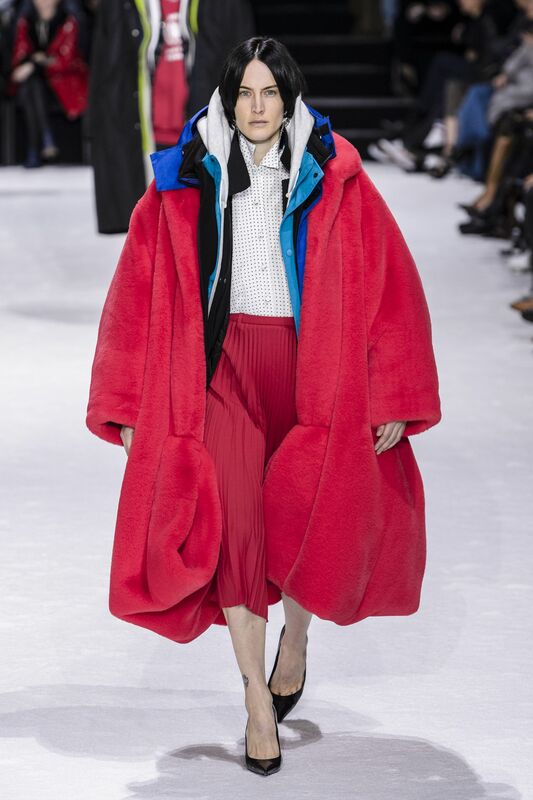 Runway Report: Laugesen’s 2018 fall collection was composed of, mainly, three colors: white, black, and red. Minimalistic, Laugesen’s colors invented a strong contrast in the looks; creating geometrical lines that not only contributed to a balanced outfit, but also added depth to the outfits without printed garments. Well equilibrated, this week’s look in black and white has both hues at the top and bottom part of the silhouette. Both the ribbed sweater ($345) and velvet jacket ($445) also bring different textures to the composition, making it even more eye-catching. The vertical lines starting at the center of the torso between contrasting sweater and jacket continue with the trousers in white and black ($80) and end with heeled white boots ($120). With all of the contrasts and verticality, this outfit is modern, classic, and a good option for those who want to elongate the silhouette. To keep it minimalistic, opt for no accessories or dainty jewelry. Splurge: During winter, almost every look will need a coat to warm you up. 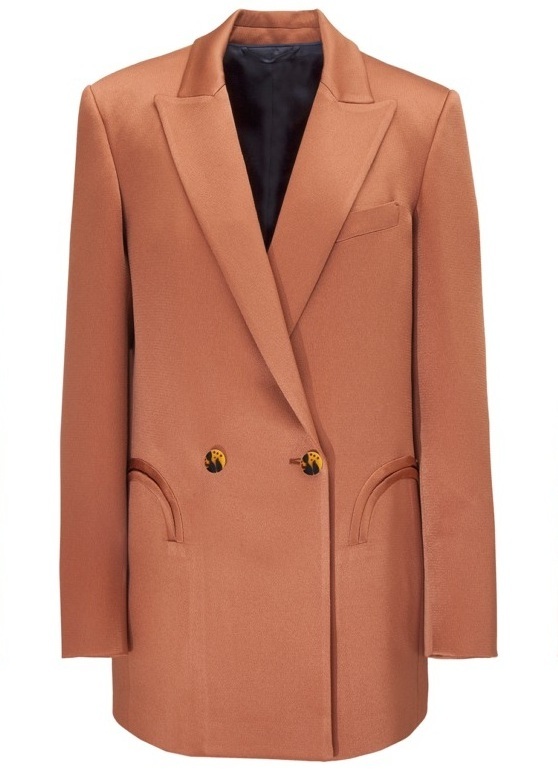 Why not make the coat the accent item of your outfit? To do it in style, an oversized coat will be perfect. 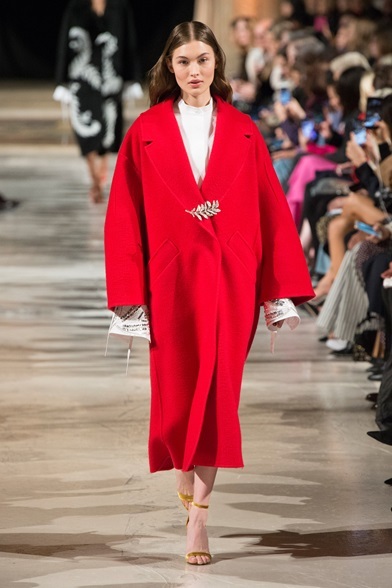 As seen in collections by Balenciaga and Oscar de la Renta, the oversized coat trend is not only fashionable, but a great item to wear at the office or on top of evening looks. 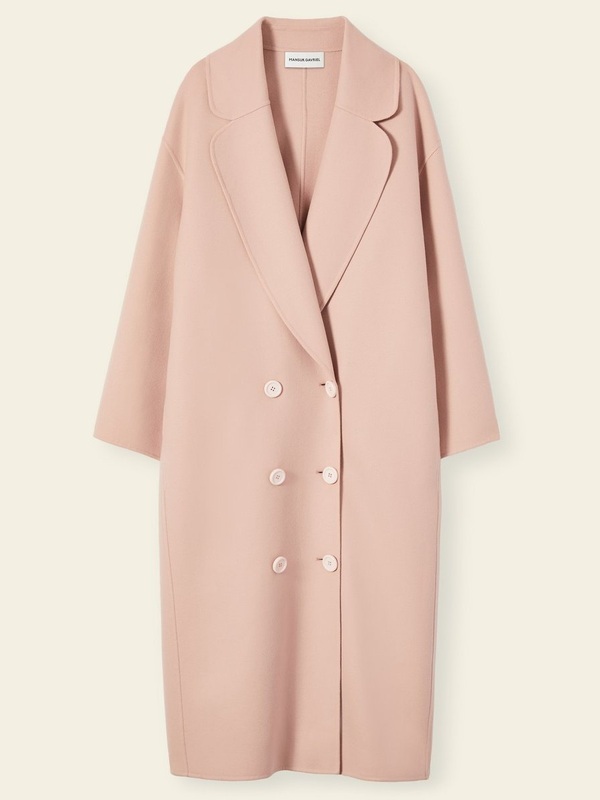 For a versatile coat, choose this cashmere wool long coat by Mansur Gavriel ($1,700) in pink. If the 80’s sounds like a good inspiration, this blazer by Blaze ($2,225) in rust with slightly padded shoulders will incorporate a little sophisticated nostalgia into your outfit. However, if comfort is your rule number one in terms of style, this wooly coat by IRO ($1,940) will be your next favorite. Minimalistic or oversized, your style can follow the trends and still have your personality. Colors, textures, and tailoring are important elements when copying runway looks to make them your own. Because winter looks are composed by a juxtaposition of pieces, adding interesting layers to your ensemble will make it more captivating if you select different textures like wool (or ribbed) or opt for a somewhat over-the-top garment to bring your outfit together. Even in black and white you’re able to achieve an exciting outfit with balance between upper and bottom parts and vertical lines that are present from head to toe.